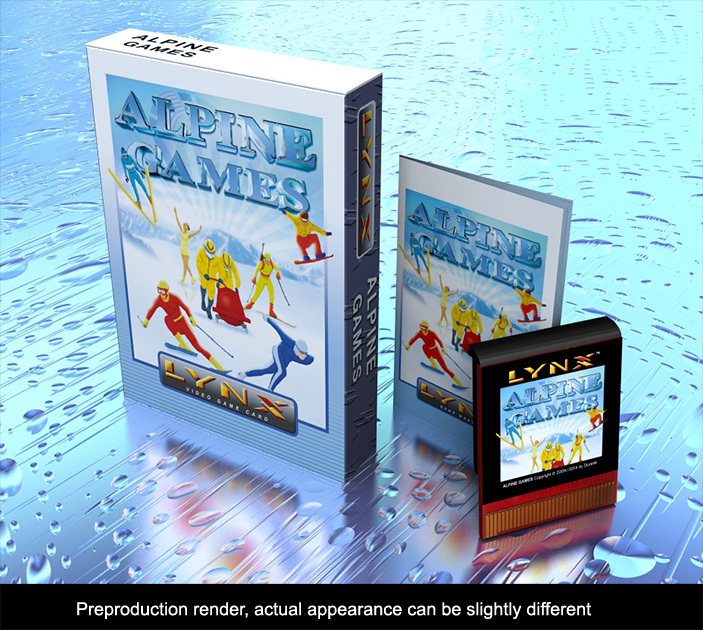 Luchssoft is doing a new run of Alpine Games for the Lynx. They put a lot of work in designing a cart that looks very close to the original"cruved lip" version. It also comes with poster and a pin and of course full color manual and package. 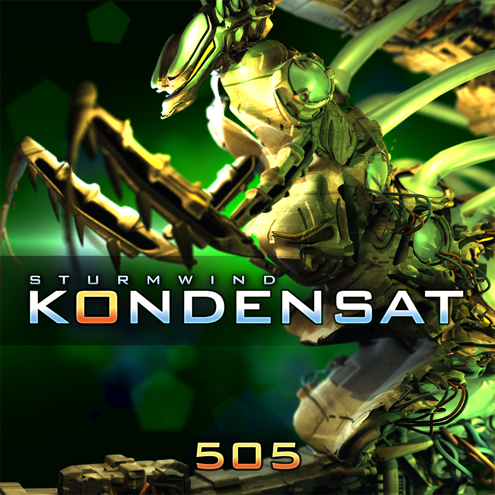 You can order a copy of Sturmwind Reprint here. Over the last years we got several requests for this game so we decided to make one last batch, this time the game comes in an original "Lynx style" cardboard box case, a printed full color 24 page manual and of course the game cartridge with a glossy color label and a small plastic case. The game is using a 512 KB (4 Mbit) eprom, hiscores are saved on the cartridge. 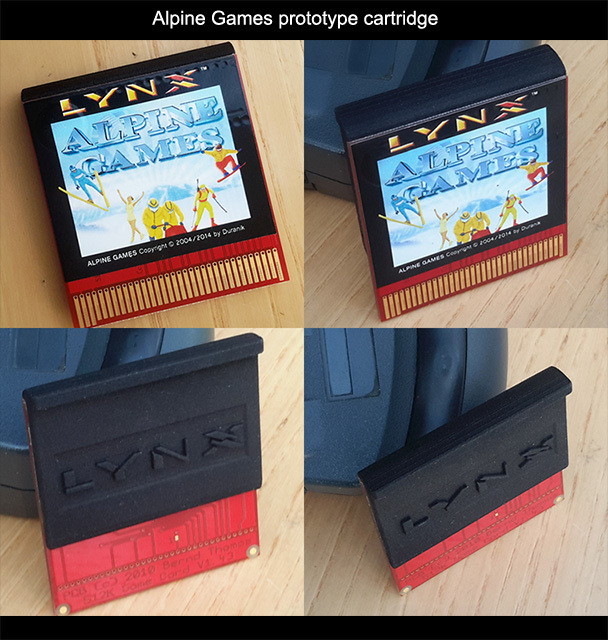 The new game cartridge does not fit in a Lynx 1, it might be possible to fit it in if you remove the cartridge door but we have not tested this. The game does not work well with a LCD replacement mod as it is using a couple of techniques to increase the color palette, this will result in bad flickering on modern displays. The plastic case is produced with a process called "laser sintering". The surface is a little bit rougher than the original plastic cartridges. from Nils „505” Feske. If you liked the original Soundtrack get it now! There is a nice 2 page review of Sturmwind in the german magazin „Power Play”. This was a huge magazin in the 80s and was resurrected recently. Still a blast to read a real „offline” magazin. 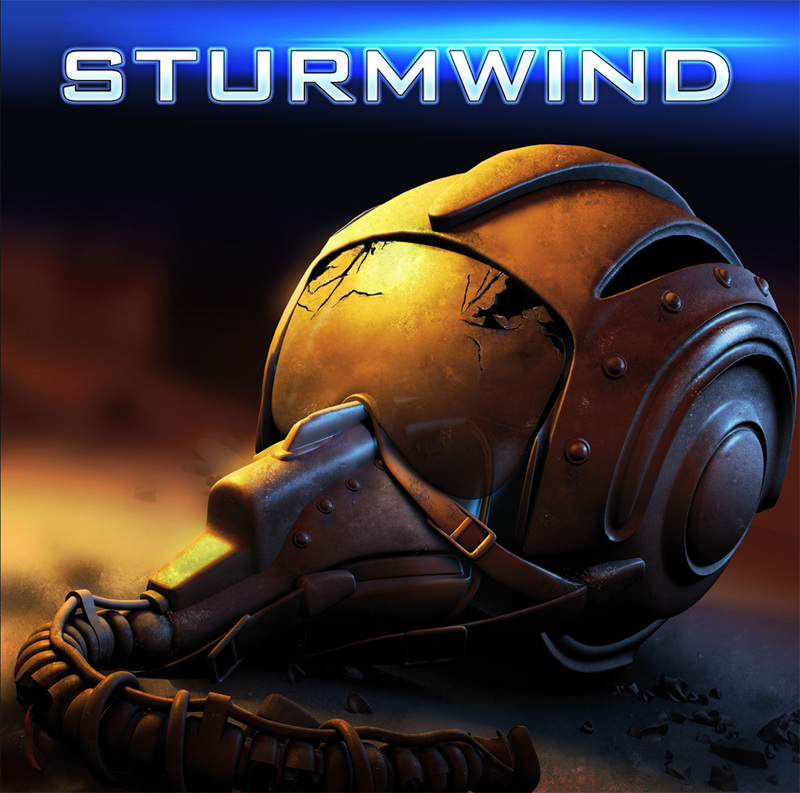 To support the release of Sturmwind, here is a new trailer. Please help us spread the word ! 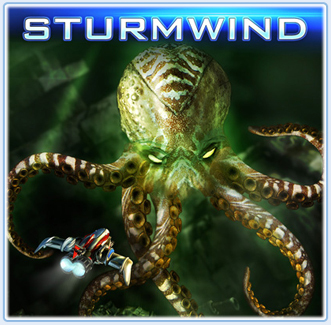 New Sturmwind Merchandise - Boss „Krakor” available as plush toy! 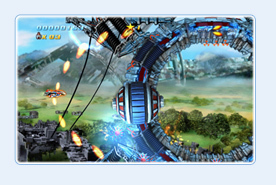 The rescue of the world starts on April 24th 2013 with Sturmwind for Sega Dreamcast. The pilots will even come closer to the enemies than they are looking for. There will be literally physical contact with „Krakor”, who will be available as plush toy at Sturmwinds street date. 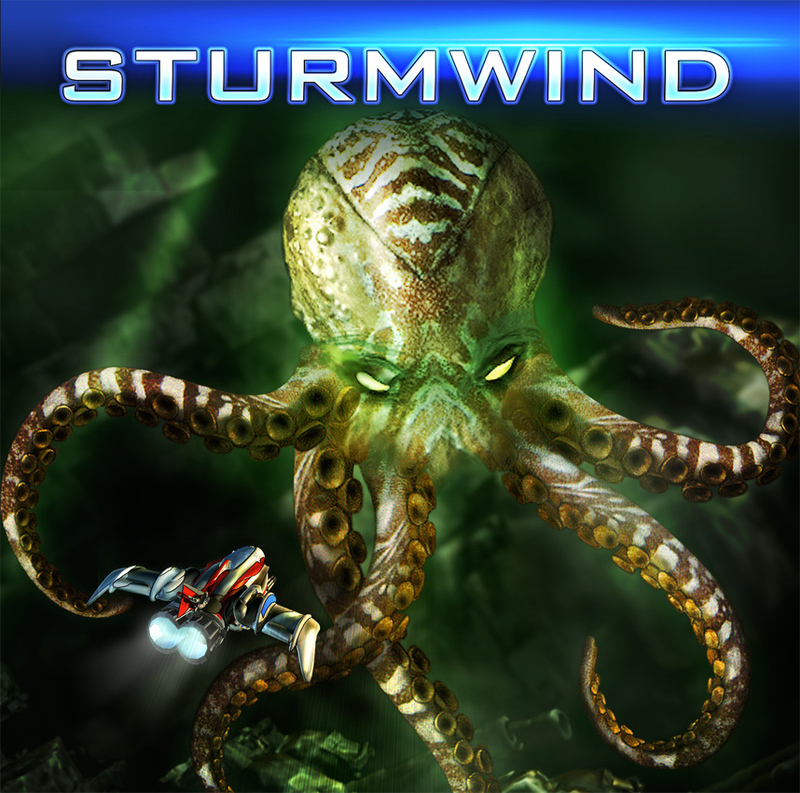 This very octopus, which is already well-known from the cover artwork of Sturmwind, has found the undersea graveyard of the Titan‘s fleet. The greenish glow of some his new hideouts attacted all kinds of prey and the jellyfish seem to glow larger. Due to his constant headache, he didn‘t notice he too had doubled in size and weight. But don‘t be afraid! Even though this plushy fellow is quite huge, it‘s everything but contaminated. redspotgames focused on high quality. Comes with CE marking (or formerly EC mark) and you can wash him at 30°C / 86 F. 40 cm from the tips of the tentacles to the head, which has a diameter of 45 cm. This merchandise is limited and only available for a short time for only 25,- EUR in the redspotgames online shop. 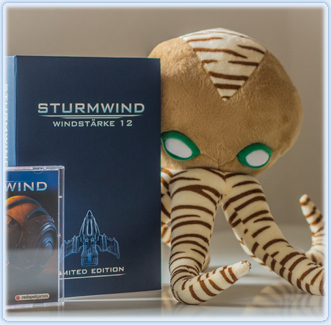 Furthermore videogame reseller Play-Asia.com offers a small amount of the Limited Edition „Windstärke 12” together with the Krakor plush toy [Link]. 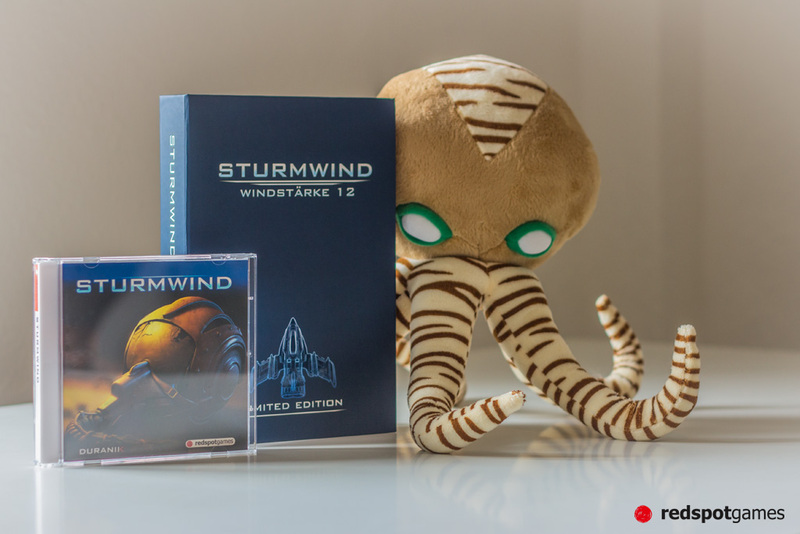 Customers who pre-ordered Sturmwind can extend their order with the plush toy with help of the redspotgames customer support [Link]. 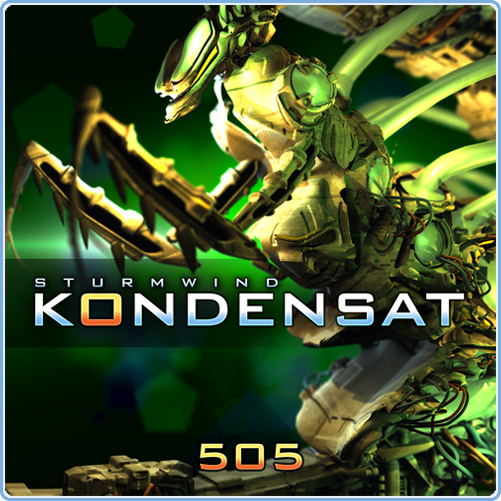 We are under attack: Sturmwind pilots, fall in for saving the world in April 2013! The fierce enemy‘s troops have already reached our world‘s doorsteps and we are running out of time! Our reconnaissance drones have detected 16 promising locations for our search of „Mother”, the planet of our living ancestors. After several development steps by Duranik and redspotgames the launch date for your mission is clear. 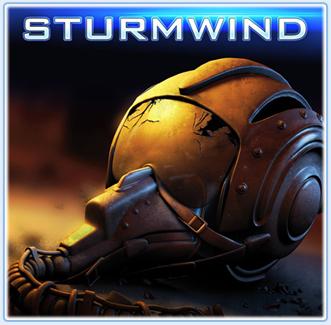 Sturmwind pilots, your all-dominant mission will begin on April 24th 2013. All documents will be sent to you until this very date. Fight over 20 boss enemies in 16 levels. In addition to the so-called „Award Trophy System”, there will also be an internet highscore list in which your performance can compete against each other worldwide. Your wings of steel are now our last resort. Stay ready for further instructions. Over and out. 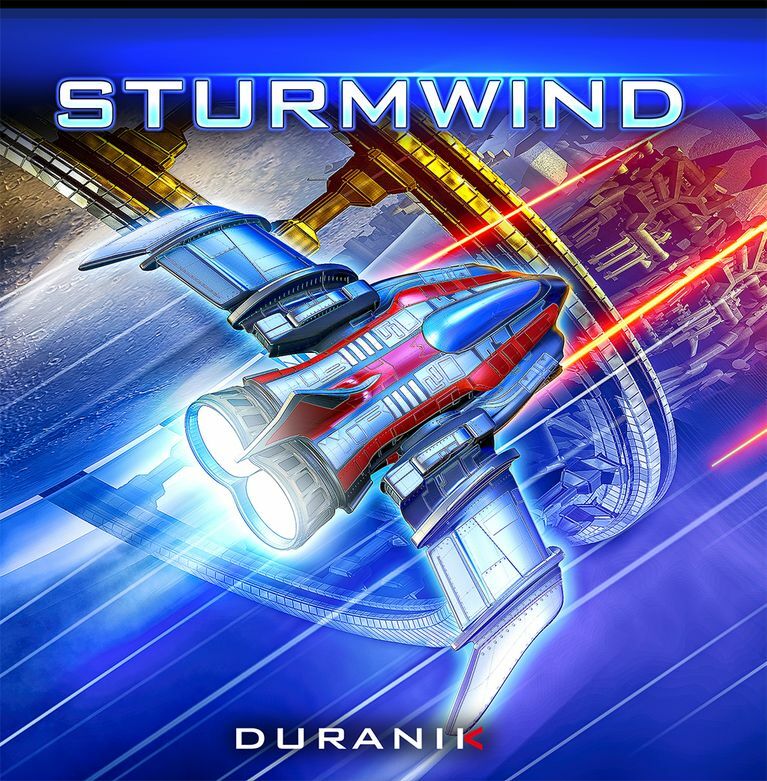 French preview of Sturmwind by 'TerminasluT' of Terminarcade is in the zone! 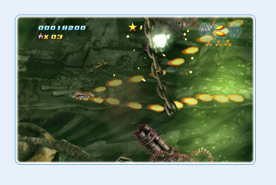 New screenshot package is online. As you can see the HUD has changed compared to the alpha version, weapons moved to the top right, energy bar is gone. 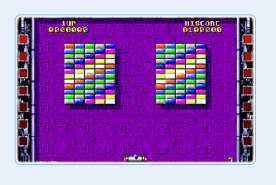 There are also a couple of levels with a top down perspective. Of course there will be a couple of logos placed on the pictures like Redspotgames, Duranik ... etc. .
you can reach us also on our facebook page. Did you know ? There is also an Impulse version for the Jaguar in the works. 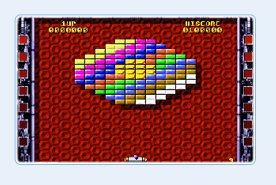 It has an impressive list of features like 40 levels, Password for every fifth beaten level, 2 difficulty levels, level editor for another 40 new levels, highscores can be saved on the module or memory track (CD version), 8bit BJL loader for your homebrew joy, support for various input devices like Jaguar ProController, rotary controllers like VCS driving controller, modified Jagpads and last but not least it supports the mouse of the Amiga or ST computer series.